The incredible landscape on the idyllic island of Kos and its spectacular views out over the Aegean Sea make this the perfect setting for important meetings and other business events. Success is guaranteed thanks to the state-of-the-art facilities and the excellence of the professional service offered by the Hotel Panorama Family. Business groups and incentive packages are catered for at the neighboring Kipriotis Panorama & Suites, at facilities with a capacity of between 20 and 900 people, with the very latest audio-visual technology and broadband internet connections. 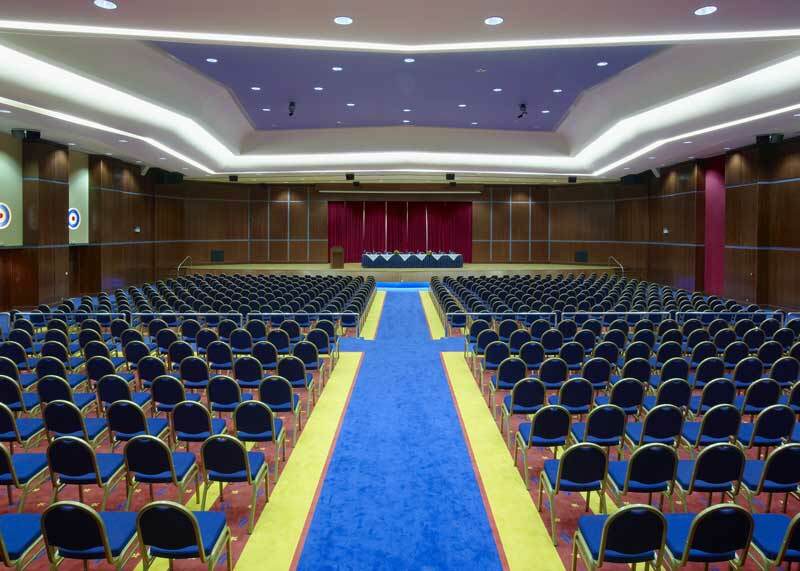 Furthermore, if you require larger facilities, you may also use the impressive Kos International Convention Centre (KICC), just a short distance from our hotel with a capacity of up to 5.000 people and catering for large-scale events, thanks to the agreement the hotel has with the Centre. The main conference hall at the Panorama Family has 1.131 m² of floor area and can cater for up to 1.100 people. 58 m² of floor space, this meeting room holds up to 43 people. 46 m², capable of catering for up to 40 people. With a floor space of 47 m², this room has a capacity of 40 people. 42 m² of floor space, comfortably catering for up to 35 people. 138 m² of floor space, this meeting room in the nearby Kipriotis Panorama holds up to 156 people. 148 m² of floor space, catering for up to 134 people. 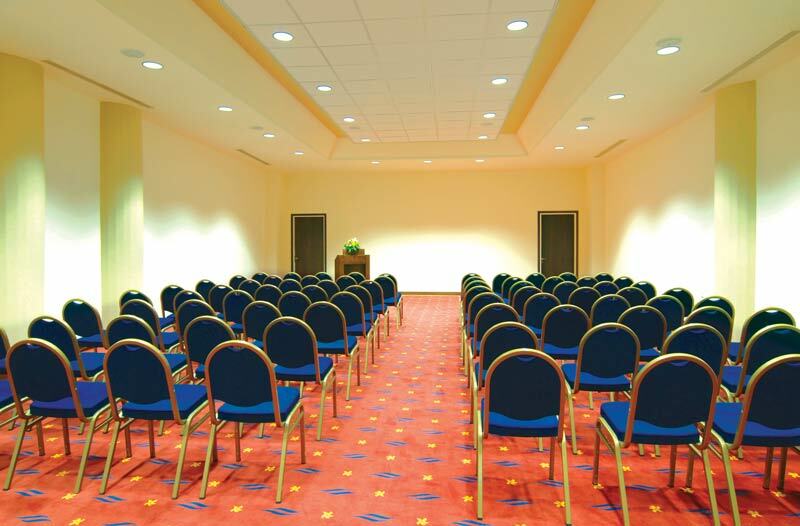 Up to 100 people can be catered for in this 120 m² meeting room at the neighboring Kipriotis Panorama & Suites. With 63 m² of floor space, this meeting room holds up to 56 people. Also with 63 m² of floor space, this meeting room in the nearby Kipriotis Panorama & Suites can hold up to 54 people. At the Panorama Conference Centre you will find all the assistance and attention you require to ensure that your event on the island of Kos is a great success. Just tell us what you require and we will do the rest. Together with our sister hotel, the Kipriotis Panorama & Suites, we can organise exclusive meals for your group, as well as a finger buffet and drinks reception, coffee break, gala dinners and theme-based buffets. The cuisine on offer at the Panorama Hotel & Suites is a major attraction for those seeking to hold their events here. And when the working day is over you will have our full and varied selection of sports and entertainment, including live shows and performances.